SeaTac Airport Limo Gets Clients Where they Need to Go! Blackstone Limousine provided airport limo service for a client a week ago. The client contacted Blackstone Limousine looking for the company providing an airport limo SeaTac passengers depend on daily. They were looking for just quick ride to Seattle, Washington. The Blackstone Limousine chauffer arrived at SeaTac fifteen minutes prior to the pickup time, because our chauffeurs are always early for our clients. When the client approached the limousine the chauffer carried the client’s luggage, then opened the door for him. Once the client was inside the limousine he was able to enjoy a nice, cold bottle of water, and ice was available for him as well. The client was able to conduct business over his phone in privacy, because our chauffeurs are discreet and professional. The client was able to adjust the climate and sound with the controls that is located in the well appointed cabin. The driver delivered the client to his location in Seattle on time. The client contacted Blackstone Limousine to inform us that he was highly impressed with the professionalism that the chauffeur possessed, and the amenities that the limousine offered. The client was satisfied with his airport limo service completely. Blackstone Limousine provided the client with a personable and professional airport limo service from pickup to delivery. 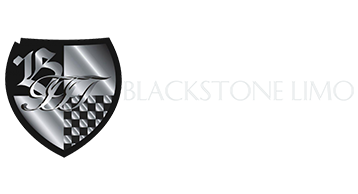 Blackstone Limousine is the airport limo service provider that provides exceptional limousine services. We go out of our way to make sure each client’s needs and preferences are met, and can accommodate all events and occasions. © Blackstone Limo. All rights reserved.